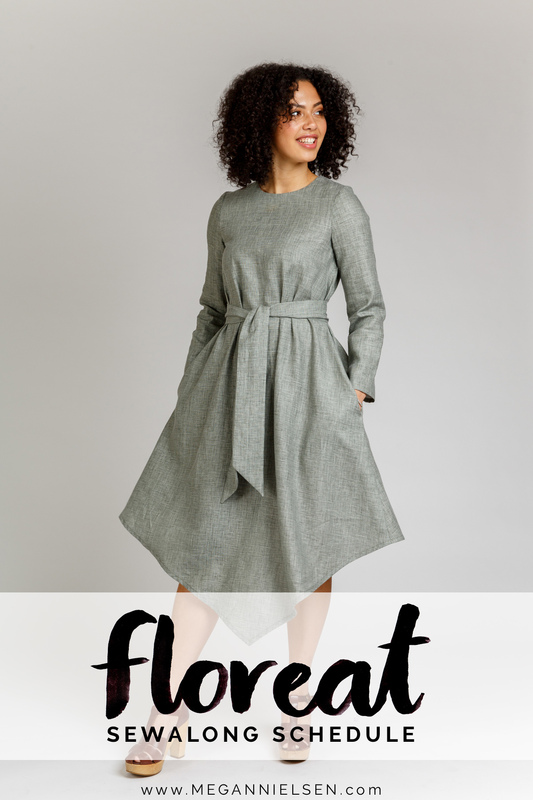 Today we will be covering all things pockets and seams in our Floreat sewalong! 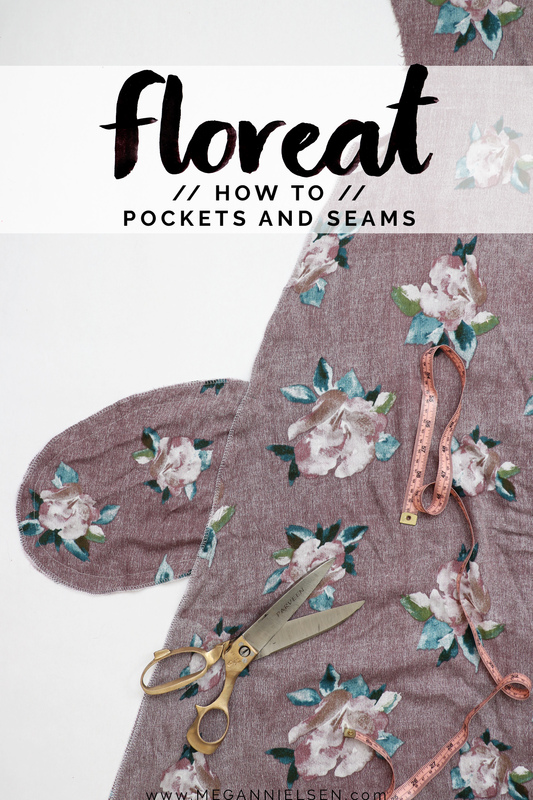 First I’ll go over how to add pockets to your dress version, and how to sew the seams up around the pockets. Or are you making a blouse or pocket-less dress? I’ll go over the super simple steps for sewing up those seams second! Important note: Again, these steps should only be done early on if you are making a sleeved dress or blouse. 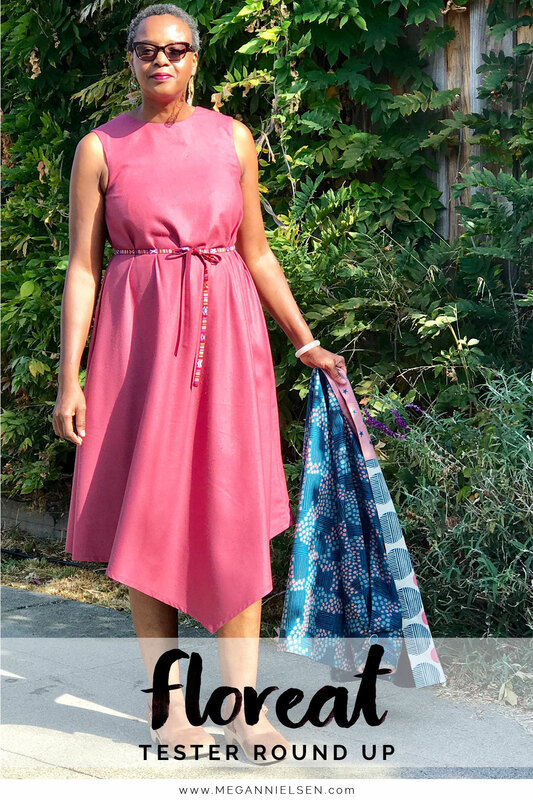 If you are making a sleeveless version, you can skip this post right now – we’ll go over it again when we cover how to do the sleeveless facing (post coming in a few days!). 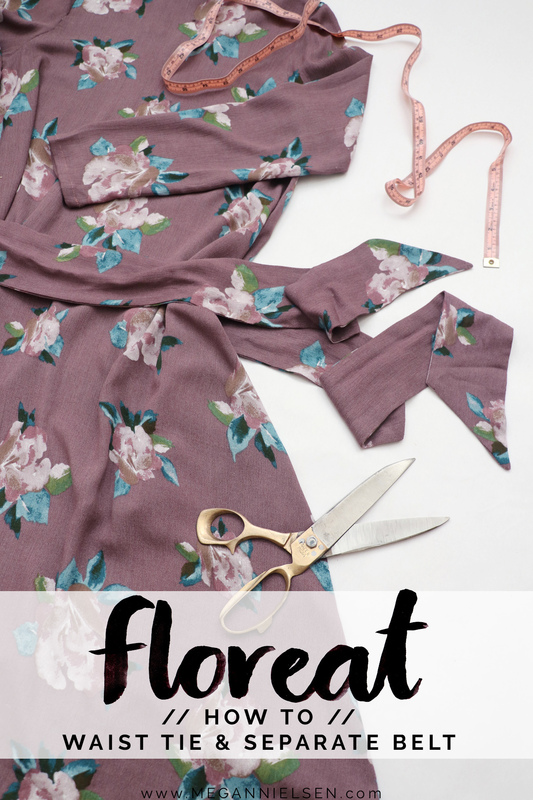 Next up in the Floreat sewalong, I’m going to walk you through the two center back closure options – an invisible zipper or slit opening. I love having two options! An invisible zipper is such a nice, clean finish. 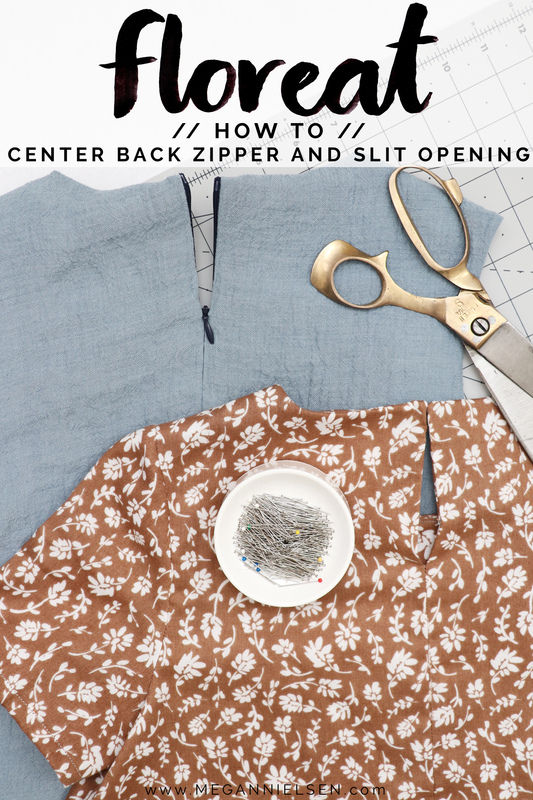 But if you’ve never done a zipper before and aren’t ready quite yet, or if you just like quick and easy finishes – than the slit opening is for you! Note: If you are making a dress or blouse with sleeves, then you’ll want to tackle the center back now, as one of your first steps. But if you are making a sleeveless dress or blouse, hold off, and come back to this post later!! Do not do sew your center back early on if you are doing a sleeveless version. Instead hold off until we cover how to do the sleeveless facing first (post coming in a few days). For the first step in our Floreat sewalong, we are actually going to tackle a quick detail – the tie belt for the dress versions! The belt, of course, is optional. So if you are making a blouse or are choosing a loose, flowy, tie-less dress, you can skip this post. I’ll actually be going over two options for your belt – inseam (attached to the center back seam) or a separate belt. Both are great, so it’s up to you which option you choose. With the attached ties – you never have to worry about losing a belt and it doesn’t move around! But having a separate belt allows you to change up your look – wear it loose and flowy sometimes and belted other times. So which will you choose? Let’s get started and you can decide. They are slightly different methods of construction, so make sure you pay attention to the right one! Hey everyone! Who’s ready to move on to the next sewalong? 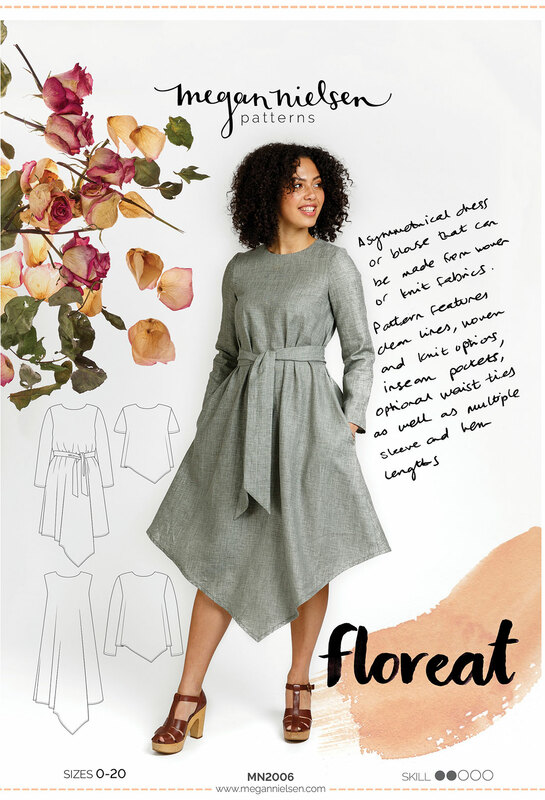 Coming up next – the Floreat dress and blouse! It’s a variation heavy pattern, and we’ll be going over every single step you’ll need to create your very own unique version. Whether you’re making a dress with pockets or a blouse, sleeved or sleeveless, woven or knit – we will have you covered! I’m going to be posting some of the steps in a slightly different order than how they are listed in the instructions. I wanted to make these posts as fluid as possible. But rest assured – no matter what order you follow, these posts or the instructions, it won’t make a difference for your construction.